The Land of the Thunder Dragon. That is the name that people of Bhutan call their country. In Bhutanese, it is Druk Yul. Bhutan is quite isolated from the rest of the world. And that is by the design of their government They regulate foreign influences and tourism so as to preserve their traditions, culture and national identity. In doing so, they have created the happiest people in the world. In fact, they measure the success of their country by the Gross National Happiness. It is because of all the above that Bhutan is often called The Last Shangri-la on earth. When I was visiting, I do find the label very apt. The environment was mostly unspoiled, with vast open spaces. The air was clean and fresh. The people were so warm and friendly. Their largest city, and also the capital, is Thimphu. I was mostly at Thimphu when I visited. You can read about some of the places I visited here – Best Places To Visit In Thimphu, Bhutan. The Kingdom of Bhutan is located in the Himalaya Mountains. It is sandwiched between China and India. In the south, there are subtropical plains. And in the north, there are the majestic Himalayan Mountains with peaks exceeding seven thousand meters. Bhutan’s cultural heritage is rich and deep. It is one of the reasons that tourists flock to this country, to witness the culture and traditions that have been well preserved. Most of the traditions have a Buddhist influence. This is because Vajrayana Buddhism is the state religion. Most of the people are Buddhists. There are also myriad and various Buddhist and Hindu celebrations, too. During these festivals, there will be the well known traditional Masked Dances as well as dance dramas. The dancers for Masked Dances wear colorful wooden or composite face masks with costumes. 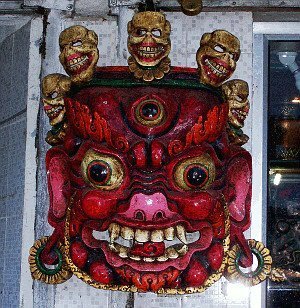 The different masks and costumes portray heroes, demons, animals and even gods. These Masked Dances are much treasured by the people and especially the royal family. For the men, the national dress is called the Gho. It is a robe with intricate designs that is knee-length. A cloth belt, known as the Kera, ties the robe at the waist. For women, they wear a dress that reaches down to the ankles. It is called the Kira. The dress is clipped at one shoulder and tied at waist level. The Toego is a long-sleeved blouse that goes with the Kira, and must be worn underneath. Every garment has different textures, colors and decorations. But not every one of them has the same. Social status and class determine what goes on the dress. Also, scarves and shawls are colored differently to indicate the different social standings. All Bhutanese citizens must wear the national dress when they are in public areas, or when formal wear is required. This is the way Bhutan strengthens their national identity. 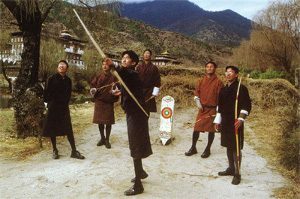 When I was visiting Bhutan, I saw some men in a field practicing Archery. My friend, who worked in Bhutan, told me that Archery is actually their national sport. Besides competition, it is also a social event. There will be plenty of food, drinks, singing and dancing as the competitors from villages and towns battle to be the best archer. Darts is also a popular sport there, too. But during the time I visited, I did not notice much activity for this. Instead, I saw many people playing Carrom. It is like billiard but using a smooth surfaced board, and a striker to hit small disks, called carrom men, with the flick of a finger. 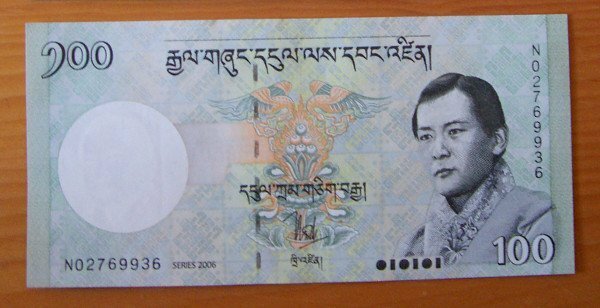 The currency of Bhutan is called the Ngultrum. Its value is pegged to the Indian rupee. 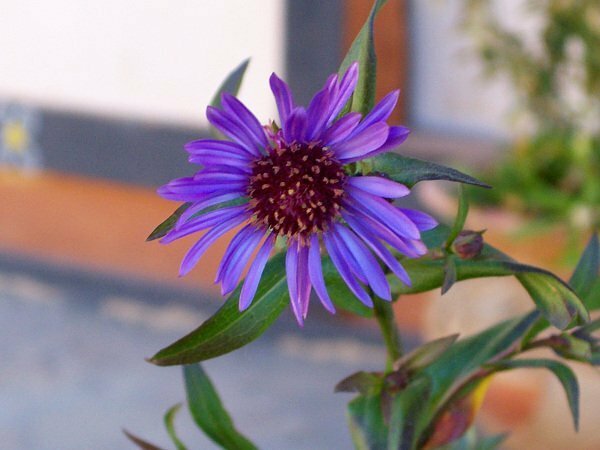 The southern area of Bhutan has a warm, humid sub-tropical climate all throughout the year. Temperatures vary between 15 to 30 degrees Celsius. The Central to North region’s climate is temperate with four seasons. Spring is from March to May. Summer is from June to August. Fall is from September to November. And Winter is from December to February. During Spring and Fall, the weather is cool and dry. These are the two High Seasons as the weather is more pleasant, and there are plenty of activities and festivities during these periods. Summers bring heavy rain and high humidity. The summer monsoon lasts from late June through late September. Winter gets colder and dry. The sun can get blistering hot. There are two seasons ideal for visits. One if Spring which starts from March, and ends by May. Expect to see lots of flowers. Weather is fantastic, with some rainfall starting May. The other season, that is also more popular, is Fall. During September to November, the weather is really nice. Best of all, this is the period when some of the largest Bhutanese festivals are held. There is plenty to experience in Bhutan. There is the Clock Tower, Tiger’s Nest, Nature Preserve, Takin Preserve, National Heritage Museum, Changangkha Temple, plus many more. 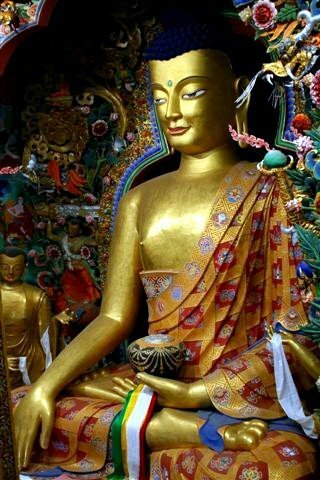 Take a look at some of them in our section – Best Places to Visit in Thimphu, Bhutan. 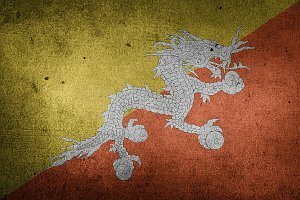 What to eat in Bhutan? The staple diet of the locals consists of rice, buckwheat and maize with pork, beef, yak meat, chicken and mutton. Most of the dishes are spicy, and may take a bit of getting used to. Butter and cheese from yaks and cows are also available and popular. Also popular are beverages such as butter tea, tea, locally brewed rice wine and beer. There are a few cafes that serve local and western food, drinks and dessert. I will share about these soon. Fridays are off days for the monks! And they get things done, including shopping. Of course, shopping is not exclusive to just Fridays for the rest of the people. 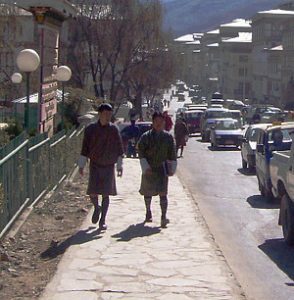 In Thimphu, there is the main street called Norzin Lam. Along this short road, there are stores where you can get daily items as well as tourist gifts. You can fly to Bhutan’s International Airport at Paro by Druk Air or Bhutan Airlines. The direct flights to this country are limited to only from Singapore, Kathmandu, New Delhi, and Bangkok. While these airlines do have extra flights during the Thimphu tsechu (dance festival) in October and the Paro tsechu in April, it is a good idea to book in advance. Do take note of the high requirement and strict Visa policy they have. 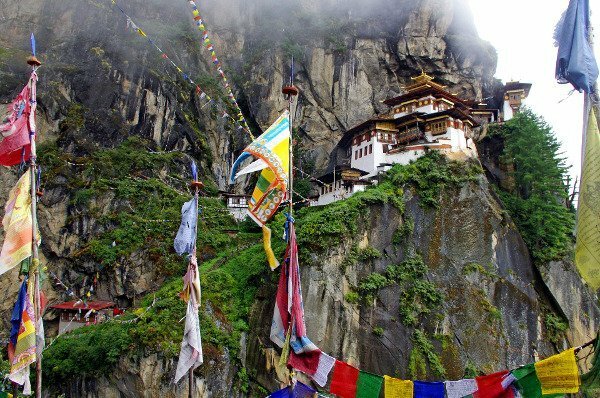 Bhutan is now an exclusive tourist destination. 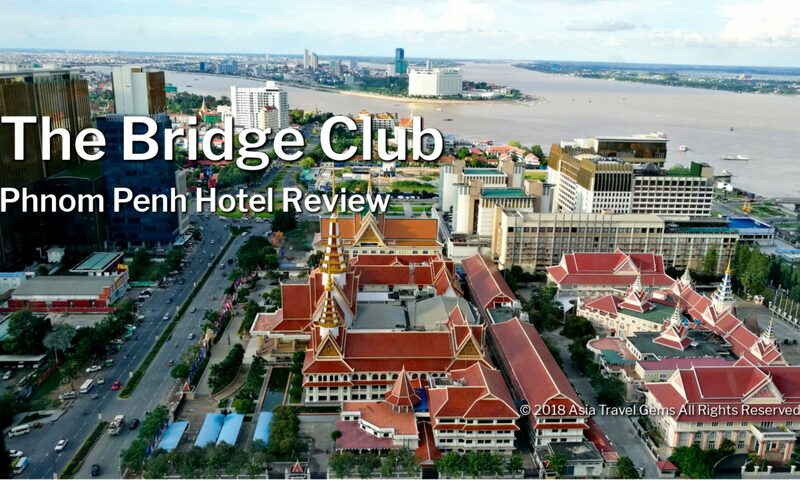 To visit, one must meet the high tourist tariff as well as requirements. Also, tourists must sign up for tour packages, and be assigned a local tour guide. The tourists must never travel on their own in this country. Do note that a Bhutanese visa costs USD250 per day during high season, and USD200 per day for low season. These are the prices as of 2017. Please contact your tour agent for updated rates as well as any additional surcharges. How to get around in Bhutan? There are many ways to get around in Bhutan; by taxi, by foot, by bus, just to name a few. 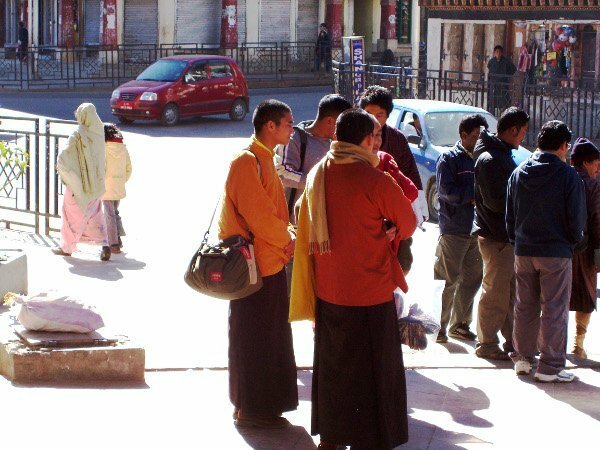 Taxis are mostly operating in cities like Phuentsholing, Paro, Jakar, and Thimphu. Make sure you agree on the rate before you commence the journey. There are buses. But they are not very frequent or comfortable. Also, they have many stops. I do not recommend taking the bus. For some, they may prefer to go by foot, to explore each city slowly. This is sometimes the only choice; e.g. when trekking up a mountain. Do remember to bring enough food and water, plus a map. When you travel on a tourist visa and a tourist package, all transportation is provided for. Chances are, there will be a vehicle, with designated driver, specially catered to bring you to all the places in your itinerary. If you have ANY questions about this Bhutan, ANY at all, please submit your questions as comments below. I will be happy to help you out. Bhutan seems like a wonderful place. I always enjoy learning about different cultures and it seem that Bhutan celebrates their culture in many ways. I find it interesting that they only allow people to visit with a tourist tariff and tour guides. I am curious do that have a tour package just for the person that loves learning about the culture? I would love to be able to take a tour and learn more. Hi Dena. Thanks! Glad you enjoyed this post about Bhutan. Yes, it is truly a wonderful place. And the culture is so rich. And yes, you can get a tour package that is designed for learning their culture. It will be a fantastic experience. When you do visit Bhutan, do come back and share your adventure with me.